Domaine de Ker-Ys is just a short sail across the Channel and the ideal spot for a family holiday packed with water sports. 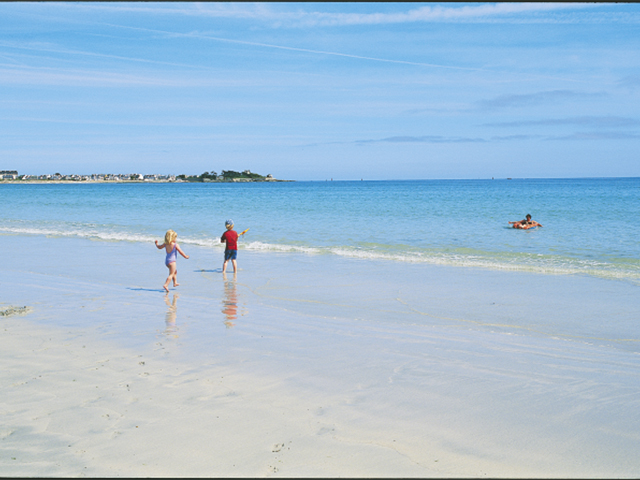 This coastal parc is just 20 metres from Pentrez beach and a short distance from the small resort of Saint-Nic. There, you'll find a long sandy beach and a water sports centre, so if you've ever fancied body boarding, kite surfing or even land yachting - now's your chance! Back on dry land you'll find more active adventures at your parc, with basketball and volleyball available at the multisport ground. It won't be long before the kids are making a splash again though - just wait until they see the parc's impressive water park. Whizz down the slides, float under the waterfall or simply just enjoy a few laps in the heated lagoon pool.